Dental implants, available at Smile Sculptors of Wake Forest, NC, benefit more than just your appearance by replacing your missing teeth. Thanks to their versatile and permanent design, implants can keep your smile healthy and prevent the side effects of missing teeth. Those who choose dental implants reap many benefits. Traditional tooth replacement options replace a missing tooth. However, dental implants replace the tooth in addition to replacing its root, a task not accomplished by traditional tooth replacements. Your dentist implants the implant into the jawbone of the mouth. This is important because of the replacement root, called the implant’s fixture, stimulates the bone to prevent atrophy or degradation due to lack of use. 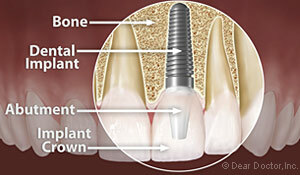 Dental implants provide many benefits beyond the obvious improvement of the mouth’s aesthetics. Filling in the gaps in your smile can make eating and chewing easier. It can also help restore the biting surface of your teeth, properly aligning your jaw to prevent jaw-related conditions like TMJ disorder. The teeth surrounding a gap tend to shift and move due to the extra space, a problem which dental implants resolve. Implants also prevent bone atrophy, which can cause the facial features to sag. Implants are permanent and last a lifetime with the proper care. Your dentist can use dental implants to replace one tooth, several teeth in a row, or an entire arch of teeth. Depending on where the gaps in your smiles lie, your dentist may use one type of implant in conjunction with another. 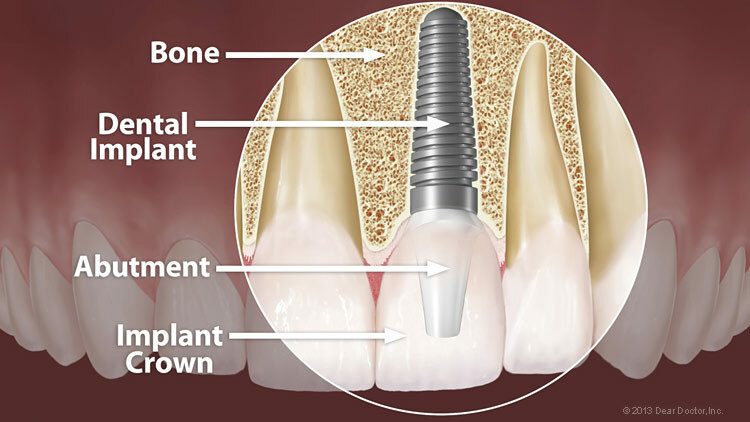 A single implant replaces a single tooth, standing alone in the mouth. Multiple tooth replacement uses an implant on either side of a dental restoration such as a bridge to remain in place. Implant-supported dentures use four or more implants throughout the arch of the mouth to permanently anchor down an entire arch of teeth. Interested in Dental Implants from Smile Sculptors of Wake Forest? Call us today at (919) 244-6120 to learn more!